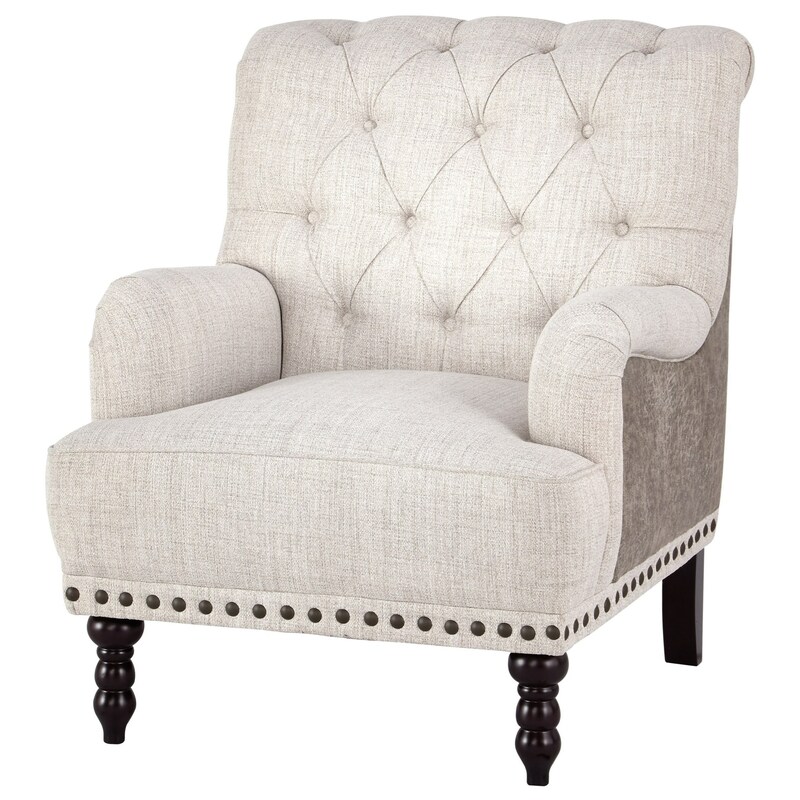 This luxuriously styled accent chair is brimming with traditional style designs. With its diamond tufted back, English arms, ornate front legs, and nailhead trim, this piece will make a statement in any room in your home. This chair also offers a unique upholstery look with ivory poly linen on the inside and antique brown faux leather on the outside. The Tartonelle Traditional Accent Chair with Tufted Back and Nailhead Trim by Signature Design by Ashley at Value City Furniture in the New Jersey, NJ, Staten Island, Hoboken area. Product availability may vary. Contact us for the most current availability on this product.